"You may think that the hard-driving, take no prisoners self-promoter is the person who ends up on top, but today it is actually the person with the best people skills who gets everything she wants at home, at work and in life." 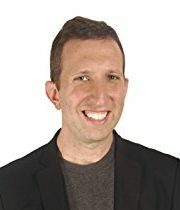 Dave Kerpen, the founder of Likeable Local, has built his career on the idea of being likeable. In our all too busy world, many of us have forgotten the secrets of communication both on a personal and professional level. The Art of People, a book that has been described as a modern How to Win Friends and Influence People, is filled with many powerful, engaging stories across eleven different topics ranging from understanding people, meeting people, influencing people, and teaching and inspiring people. The book is quirky and often seems to suggest counterintuitive ideas, but that is what makes it compelling reading. "When people hear ‘I’m fantastic!’ … heads turn." How do we establish trust with people when we first meet them? Kerpen offers some profound and simple solutions. If someone asks you “How are you today?”, your usual response is probably along the lines of “good”, “fine”, “busy”, “tired”, or perhaps even “crap”. A simple and elegant response suggested by Kerpen is to answer with “I’m fantastic”, and watch how the other person responds. Of course you have to be authentic to make this work, but if you adopt this “fantastic” mindset and are truly grateful for how good you have it relative to others, then this is a pretty easy change to make. The second word suggested is “imagine”, which gives people an excuse to use their own imaginations. Try this at your next work meeting and watch the team’s response. Using the word imagine has the effect of opening up their “why” because it connects their intellect to their emotions. For example: “Imagine when you have these new skills that you are about to learn” or “Imagine what you can achieve with this new machine.” Imagine what it will be like when you have the power to motivate people through more powerful language! "Life is short. The less time we waste on the weather, the better." Another simple technique that can easily be applied when meeting a new person, whether they are a potential new partner (business or personal), future employee or coach, or simply an acquaintance, is to ask three simple questions that enable us to better understand people’s deeper personalities, passions, values, likes, and hopes. What is the most exciting thing in your professional life right now? What is the most exciting thing in your personal life right now? If you had enough money to retire, what would you be doing today? What’s one thing you would like to be doing or would like to have five years from now? What’s your favourite charity organization to support and why? If you weren’t doing what you do today, what would you be doing and why? Other than a member of the family, tell me about your role model. Who’s been the most important influence on you? How would your favourite teacher describe you? If you could choose to do anything for a day, what would it be and why? A large part of understanding people is not to talk but indeed the exact opposite, to shut up and listen. This again is not as simple as it sounds and you do have to apply new skills if you are a natural chatter box. You have to resist the urge to talk and you have to continue to bring the conversation back round to the other person. Above all, you have to learn to genuinely listen and show active consideration and care for what the other person is saying. Defined as active listening, it’s the act of trying to understand their position and not fixate on your own. It is hard to do well without practice, but Kerpen suggests that this is the most important takeaway from the book. Listening to people makes them feel valued, respected, inspired and eager to solve problems, as opposed to not listening, where they feel hurt and rejected, uninspired and disengaged. Master this technique and you will generate more meaningful relationships in the future, and if you are in business listening means profit. "I hear you saying you’ve been waiting for over an hour to talk with us and that your bill is over $250 more than it should be. You must be angry and frustrated!" Validation is a powerful way to diffuse anger and frustration. The above conversation is a recollection of the author’s experience with a cable TV company. Not only was the receptionist able to solve the problem, but her expertise also became part of the book. Validation is taking mirroring to another level. The idea is to repeat what the other person is saying, but also to suggest some understanding of how they are feeling. In the above case the receptionist displayed not only her own frustration towards her company, which in itself is a powerful negotiation tool, but was able validate the author’s anger and frustration. One caveat to be aware of is the danger of not interpreting feelings correctly. Get it wrong and it can have a devastating effect. The solution is to continue to ask probing questions— such as “Sounds like you pretty angry, is that right?”—and listen carefully to the responses. Listen for “feeling” words and expressions, and pay attention to body language and tone. Validation is not necessarily agreeing, it is understanding where the other person is coming from and genuinely caring. Even if there is a disagreement, validation allows an avenue for a better resolution rather than becoming defensive. I used this technique recently with a client who received several automated account fees because we had not taken his email correctly. After correcting his address and paying the invoice, he received a $60 invoice for overdue accounts and was not happy, threatening to take his business elsewhere. After validating his feelings and offering a solution and a coffee at my expense, he has accepted and is in a much better frame of mind—and is even coming for coffee! The Art of People is a book that once read can easily be skimmed in the future for immediate solutions to communication problems, and is one that doesn’t necessarily even need to be read cover to cover. Keep it on your shelf for a happier personal life and healthier business.